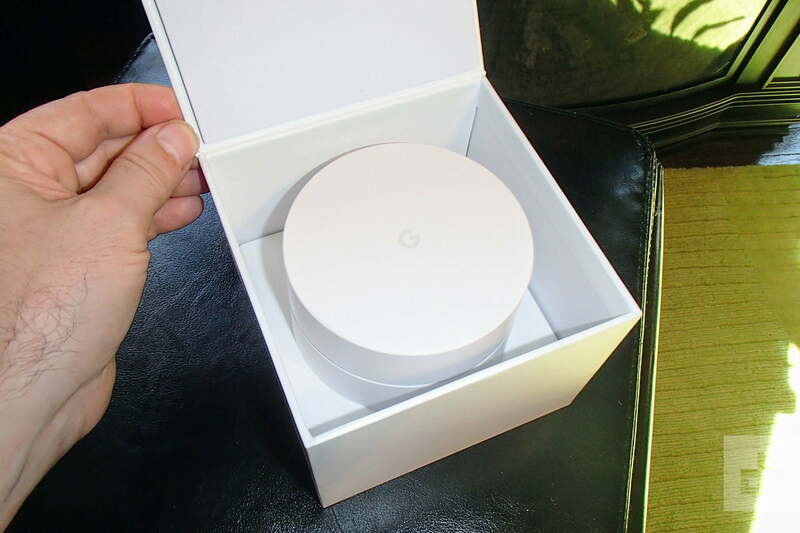 Affordable, expandable, and easy, Google Wifi checks all our Wi-Fi boxes. When it comes to covering a home in reliable and fast Wi-Fi, the router industry has seemingly divided itself into two camps. There’s the super-powerful-and-tons-of-antennas camp, which uses a single device and a lot of brute force to get the job done (like this Linksys EA9500), and there’s the divide-and-conquer camp, which favors mesh networking to distribute the job among two or more less expensive units placed around a home (like the Eero, Almond, Velop, and Luma). For consumers who crave connectivity but cringe at the idea of complicated configurations, the mesh approach has been winning hearts and minds — so along comes the Google Wifi router. 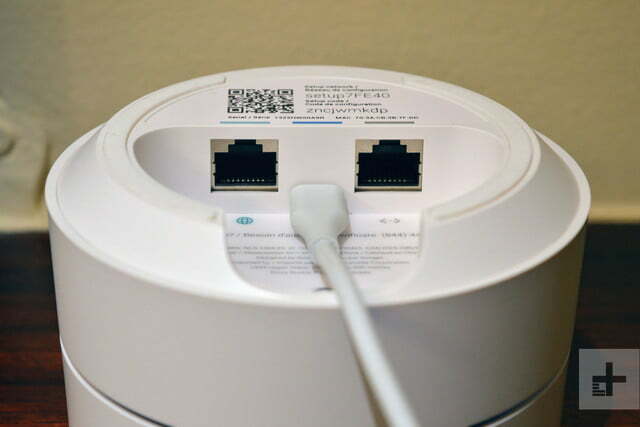 It’s no surprise that Google, which until recently only offered a stand-alone Wi-Fi solution — the OnHub — has now joined the mesh networking party with its plainly labeled Google Wifi, a Wi-Fi router that sells for $129 USD ($179 CDN) for a single unit, or $299 USD ($439 CDN) for a three-unit combo pack. At this price, it can claim value equality with most of the other mesh products, so we were eager to review it: How does it fare when it comes to the real test — fast, reliable wireless networking? Let’s not mince words; Google Wifi is by far the easiest Wi-Fi router to set up. 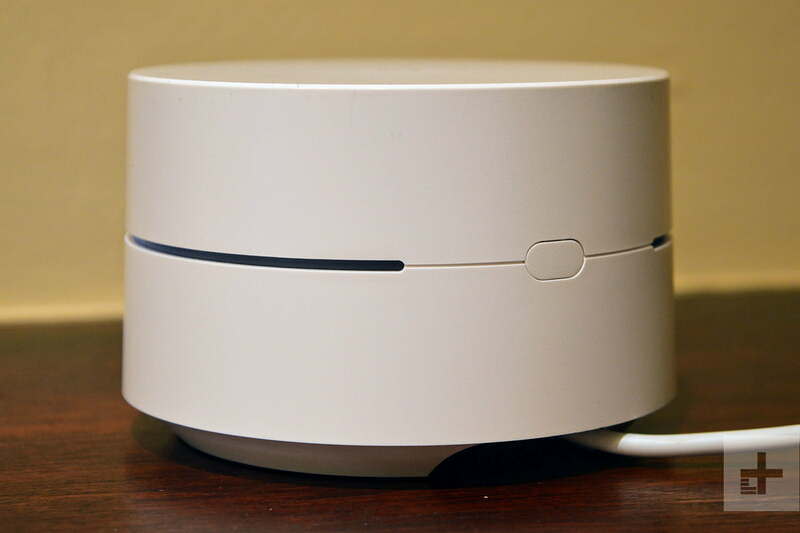 Once we downloaded the free Google Wifi app for iOS and Android (previously known as OnHub), and signed in using our Google account, it took less than a minute to get the first access point (or simply “point” as Google calls individual Wifi units) connected and configured. 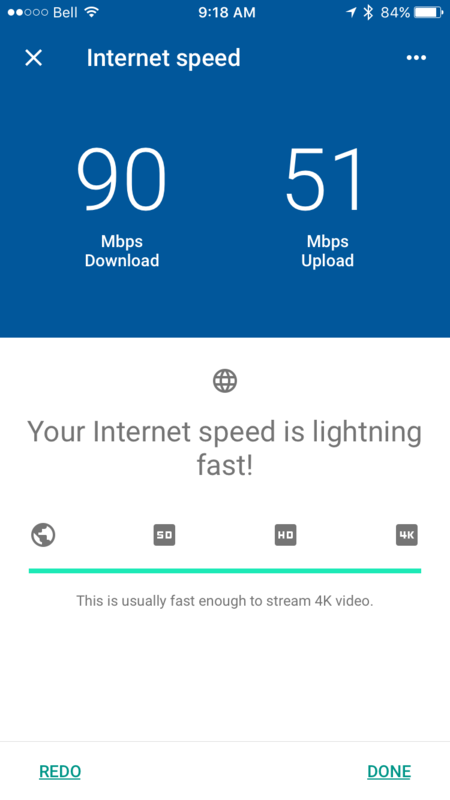 You start by plugging the Google Wifi into your cable/DSL/fiber modem with the included Ethernet cable, then into a power source via the included USB-C power adapter, and follow the app’s on-screen prompts. It finds the point automatically. There are no buttons to press, because it doesn’t have any. Then, it asks you to confirm by using your phone’s camera to scan the QR code on the bottom of the point. The app then prompts to choose a label for the point, like “office,” or “living room,” and asks for a network name and password. Within a few moments of completing this step, it’s ready. There are, of course, some optional settings you can tweak at this point, but they’re not necessary. Other routers, including the Linksys Velop, use a similar process, but Google has it down to a science. Every consumer electronics product should be this easy to use. If the idea of connecting your Wi-Fi router to Google via an account makes your skin crawl, this is not the Wi-Fi product for you. A Google account is not only required, it’s central to many of the app’s features, like notifications and remote access. Google Wifi is by far the easiest Wi-Fi router to set up. Lots of other router companies give you the option to create an account with them for additional features (like remote access), but with Google Wifi, it’s mandatory. There’s at least a certain amount of control, as the app lets you turn off data sharing in three mains areas; cloud services, Wi-Fi point usage, and Wi-Fi app usage. Of these, only Cloud services has direct benefits to consumers, because it lets Google intelligently alter the way Google Wifi deals with your specific wireless environment. Google could have chosen to embed this ability into the points themselves, but Google being Google, well — that’s just not how they do things. The Google Wifi’s hardware looks great. With its tiny form factor (a little bigger than two stacked Amazon Echo Dots), smooth, all-white body, and its single illuminated LED ribbon, a Google Wifi point is sure to please even the most gadget-averse home decor maven. While not quite a perfect design match for its Nest line of home monitoring and automation products, Google Wifi is nonetheless elegant and understated — exactly what you want in a product that is meant to be out in the open, and thus highly visible. The thin, Cylon-esque LED ribbon is itself a beautifully designed element. It can communicate errors with colors — from red (something’s wrong) to a gentle teal glow (everything’s fine) — or nothing at all, if disabled entirely from within the app. If you’re used to the bank of flashing lights that traditional routers proudly display, you may miss some of the info they convey, but we suspect you’ll quickly adapt to this new light show. Google’s commitment to simplicity carries the same price as it does in other intuitive routers – namely, an absence of wired connectivity options. Once connected to your modem, there’s only a single available Ethernet jack for your wired devices, and no USB ports at all. While it’s true that each additional point opens another pair of Ethernet ports, that’s only helpful to devices at new locations that require Ethernet. Stationed next to a home theatre system, it could be helpful — but in a living room, kitchen, or bedroom, we doubt the ports will ever get used. There’s something to be said for the fact that most of us live in a 100 percent wireless world, but we wish this new breed of mesh routers wouldn’t make us choose between wired and wireless connections. So far, only Netgear’s Orbi offers the best of both worlds. Google Wifi’s simplicity extends to its control options. There’s no web interface. Pointing your browser to its IP address will produce a polite yet firm advisory that you need to use the Google Wifi mobile app if you want to make changes. For the most part, this isn’t a bad thing. 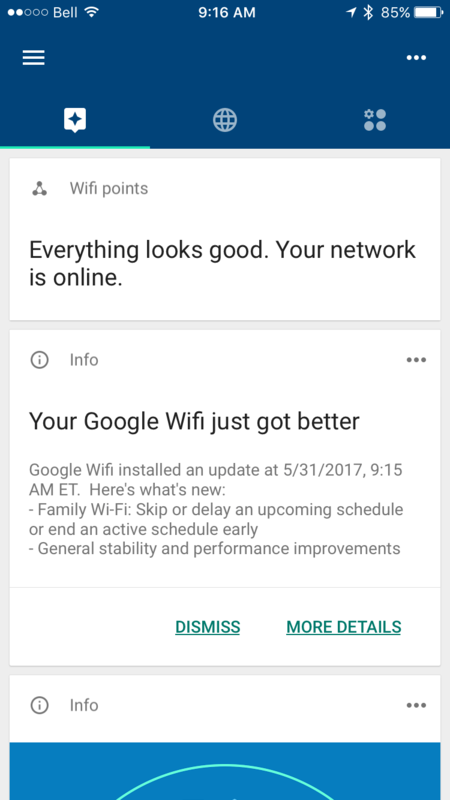 The Google Wifi app (Android | iOS) is a pleasure to use. 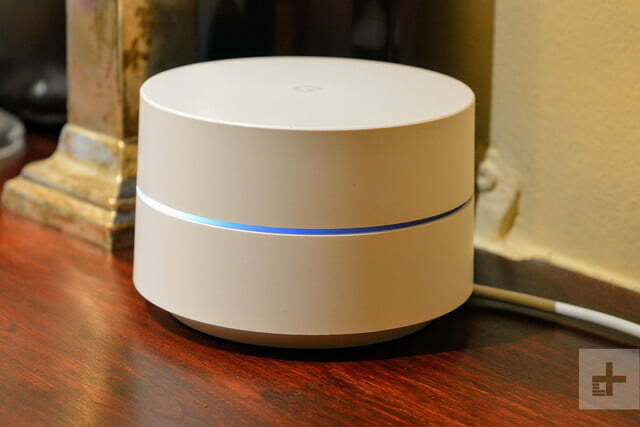 With a home screen that features Google’s familiar Assistant card-based messages for the router’s various functions, there’s a strong argument to be made that Google Wifi is the friendliest router on the planet. The deeper configuration options are equally friendly, with the whole app giving off an Android vibe. We love that the app not only shows you how many devices are connected to your network — with actual human readable names like “Kitchen” instead of the generic “Sonos” followed by a MAC address — but also a real-time readout of the wireless bandwidth being consumed by each one. You can choose to give any of these devices priority over the others for a one, two, or four-hour window, which could come in handy when streaming 4k content to a Roku, for instance. 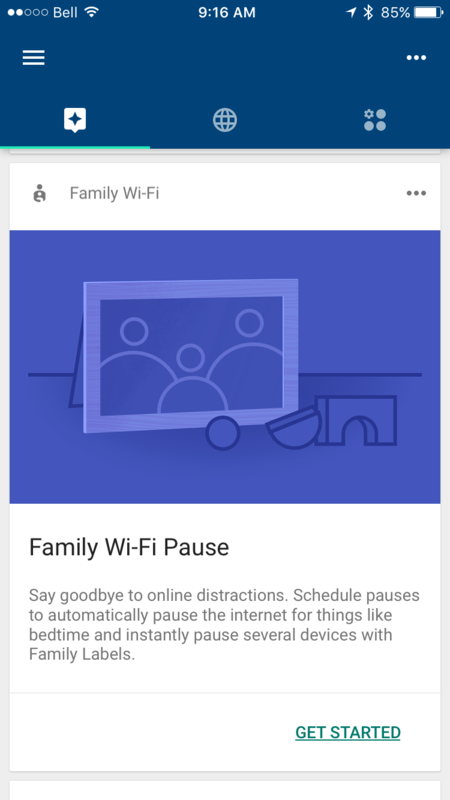 There’s also a handy Family feature which can create groups of connected devices, then establish manual or scheduled internet access for each group, which we think is better than trying to do so on a device by device basis. We’re also big fans of the ability to restart the entire network from within the app, an action that required physically switching off or unplugging routers with Linksys’s Velop. The Google Wifi app is a pleasure to use. There’s even a security upside to having app-only access to the router, according to Google. 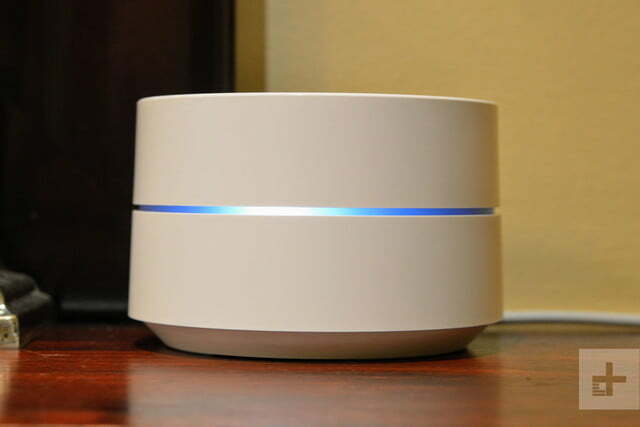 It claims that since Google Wifi will only respond to requests made from the Google Wifi app, on the same network, using an approved admin Google account, it reduces the number of attack vectors that hackers could use to compromise the router. The downside of this arrangement is that some advanced options found on other routers are missing. You can reserve an IP address for a device, yet you can’t adjust the actual range of local IP addresses — Google Wifi sets this at 192.168.86.X, and that can’t be changed. Likewise, you can let the router decide which DNS server to use (it uses Google’s own DNS by default), or set your own, so there’s no way to use a VPN service. You can set up a guest network with its own password and, impressively, you can select any of your attached network devices to be accessible by guest users, which is ideal for parties when you want guests to be able to stream to a Chromecast or tweak a Sonos playlist, yet don’t want them snooping through the contents of your PC. On the other hand, there’s no way to separate the Wifi’s 2.4GHz and 5GHz radios into different networks. Both get the same SSID (network name), which favors network reliability over customization. 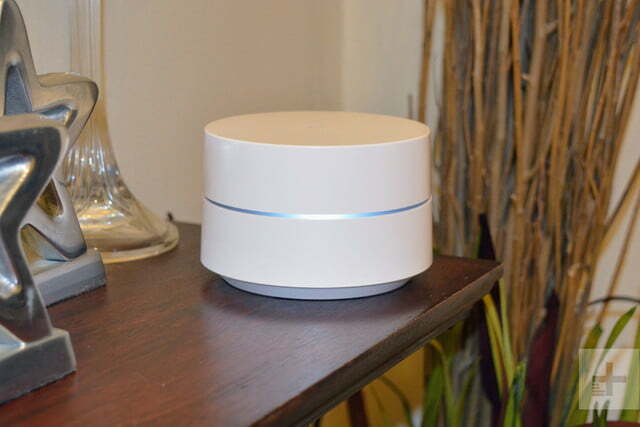 Adding extra points to a Google Wifi network is as easy as setting up an initial device. 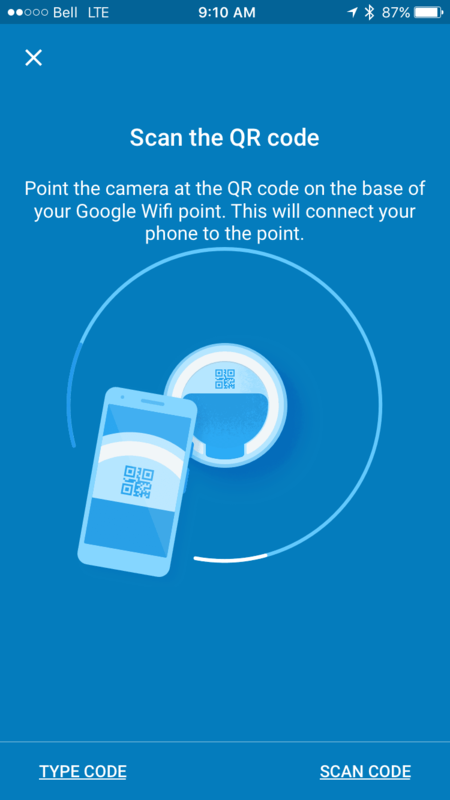 The app walks through a nearly identical process, including the identification and QR code scan, but adds a step that checks to see if the new point close enough to an existing point. It turns out that Google Wifi points want to be close together — the app says they should be no further than 30 feet apart. This meant that our first attempt, using a location that had worked just fine with every other mesh product we’ve tested (see Location “D” below), wasn’t close enough. Moving six feet closer did the trick, and the new point was added without additional fuss. This short distance requirement could create challenges for some users. Even with a three pack, the theoretical maximum distance between the first point and the third is 60 feet. That may not be enough for larger homes. Intriguingly, the Google Wifi app makes it just as easy to remove points as it does to add them, something we’ve never encountered with a mesh setup. 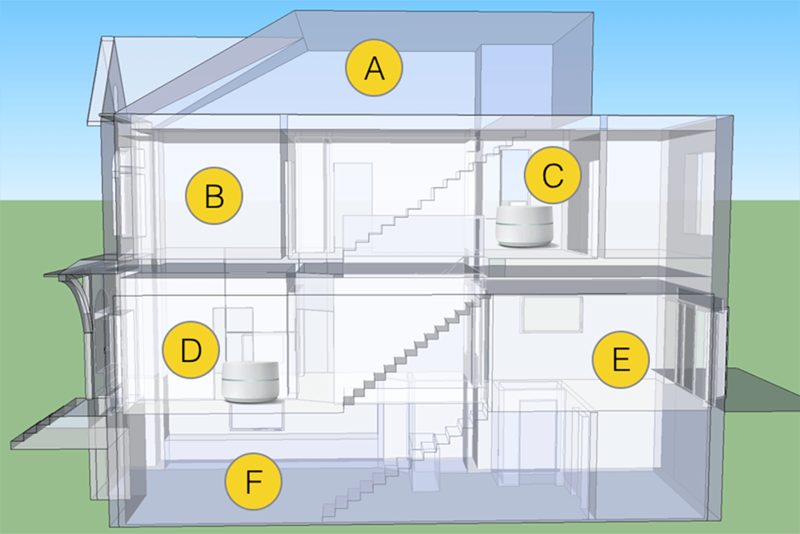 The raw data suggests that even a single Google Wifi point is enough to cover a small home. There were no dead spots in our three-story test home with 2,400 square feet of space. Although the faster, 5GHz network didn’t extend all the way into the basement, the 2.4GHz network did, and transitions between the two bands happened quickly and seamlessly. But there’s more to this story, and trying out a few different usage scenarios quickly showed us why the app wants to place points relatively close to one another. We saw no problems when using a smartphone to browse the web from various locations. Page loads sometimes took a while at the edges of the Wifi’s range, but nothing truly objectionable. However, other devices — like a fourth generation Apple TV, and Playstation 4 — had trouble maintaining a reliable connection to our primary point located two floors away. We were a little surprised that even the router’s 2.4GHz radio, which is typically offers good range, couldn’t reach these devices reliably. Competing Almond 3, Velop, and Portal routers could manage it. We were anticipating better performance, because Google Wifi uses the latest version of the 802.11ac standard. And yet, Google makes it clear that a single point is only sufficient for about 1,500 square feet, so perhaps we were asking too much. The DetailsAdding an additional point fixed the connections to the Apple TV and PS4, but we still encountered times when the Apple TV would drop its connection, and need to be rebooted to jump back on. The data above supports what we saw in real-world testing. 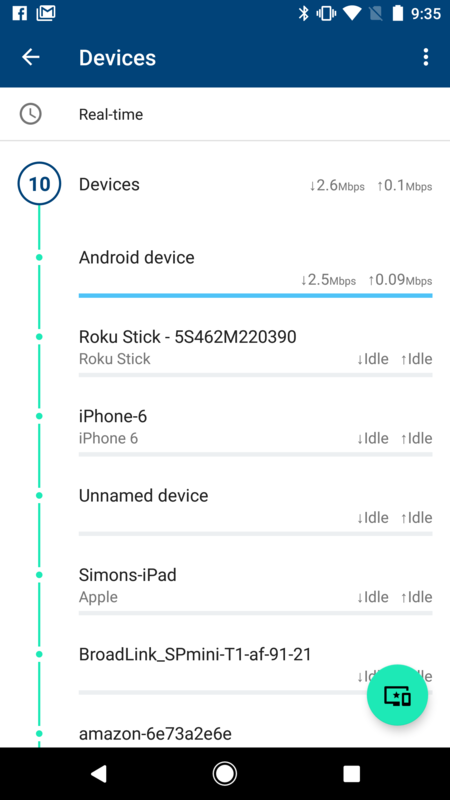 While in most situations the Google Wifi router performed well, it had trouble reaching location D. It also came behind the Velop in locations B and F. This indicates that while it’s capable of very high speeds, it does have troubles with range that aren’t shared by its competitors. Google Wifi comes with a one-year warranty from the manufacturer. That’s standard for routers. Google Wifi is an easy, simple, and affordable way to update your wireless home network. Its app-based setup and management is a breeze, and we think most buyers will be happy with the way it looks — an important consideration for mesh routers that will end up in conspicuous places around your home. Its Wi-Fi radios aren’t especially powerfulm, however, which means you may need more units to cover the same area as compared to other Wi-Fi routers. What the Google Wifi does, it does very well, and does it at a price that is hard to beat. But there’s several areas where it simply chooses not to compete, and if these areas matter to you, you may want to look at other mesh products. There’s no integration with Amazon’s Alexa (for obvious reasons), and no way to connect it with a service like IFTTT. Securifi’s $159 Almond 3 offers both features, and throws in an extra Ethernet port, a USB port, and compatibility with a slew of Z-wave home sensors. Likewise, those who demand top-notch wireless throughput may be willing to pay more for the $199 Linksys Velop, with its tri-band radios and dedicated backhaul. It’s also worth pointing out that you don’t need to create accounts with these companies to use their products. In the wild world of Wi-Fi, with its seemingly ever-changing standards and speeds, it can be hard to tell just how long any Wi-Fi router will remain relevant, or even supported. However, Google has good track record of supporting its products, and we’d say that Google Wifi’s simple form factor, combined with its app-driven control system, suggests a longer than average life for products in this category. Yes, if you want a simple and elegant design that is beat only by its user-centric app. At $129 for a single or $299 for a three-pack of points, it’s a good value compared to the alternatives. Keep in mind, however, that it has just one Ethernet port, and it may have trouble reaching the extremities of large homes.